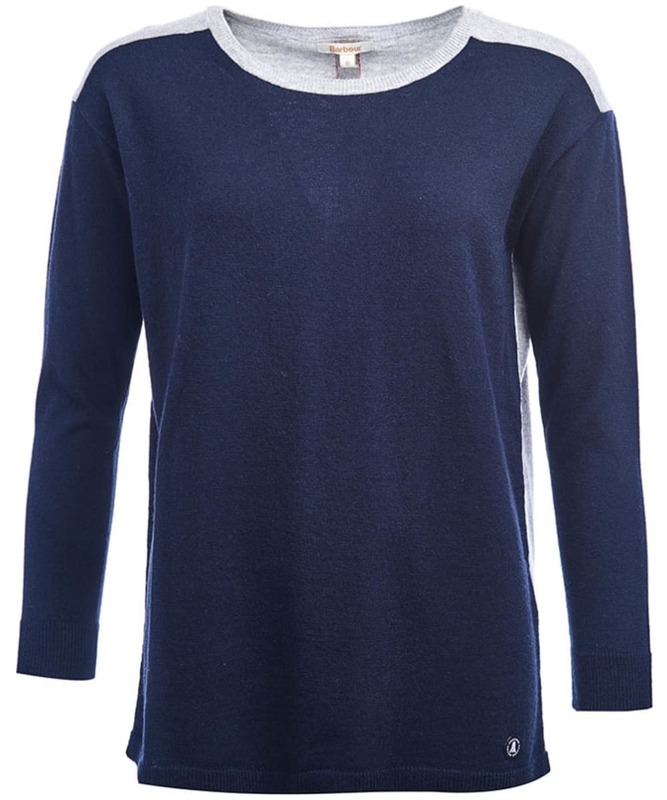 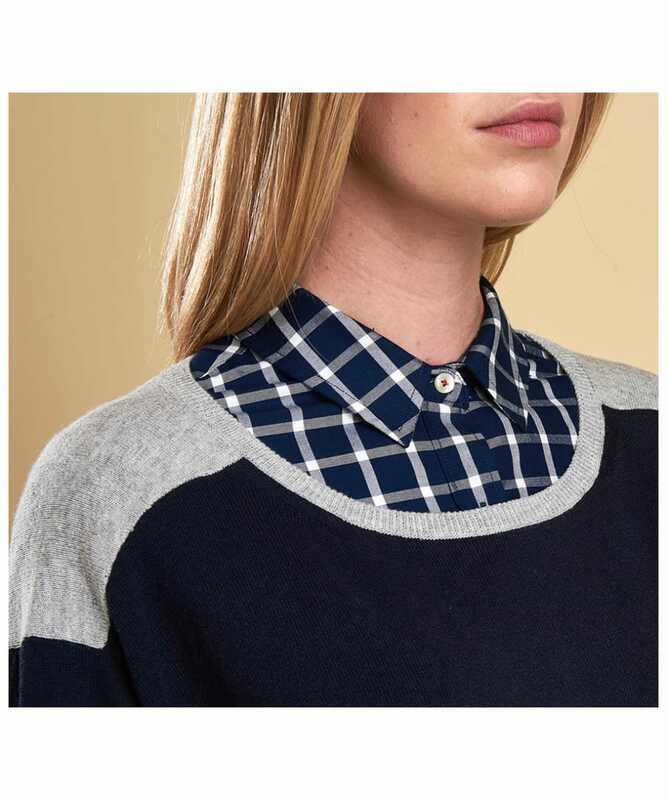 Perfect to keep you nice and cosy this season and beyond, the Women's Barbour Freestone Knit is a fine gauge knit tunic style sweater with a wide boat neck, long sleeves and curved hem to keep you looking on-tend. 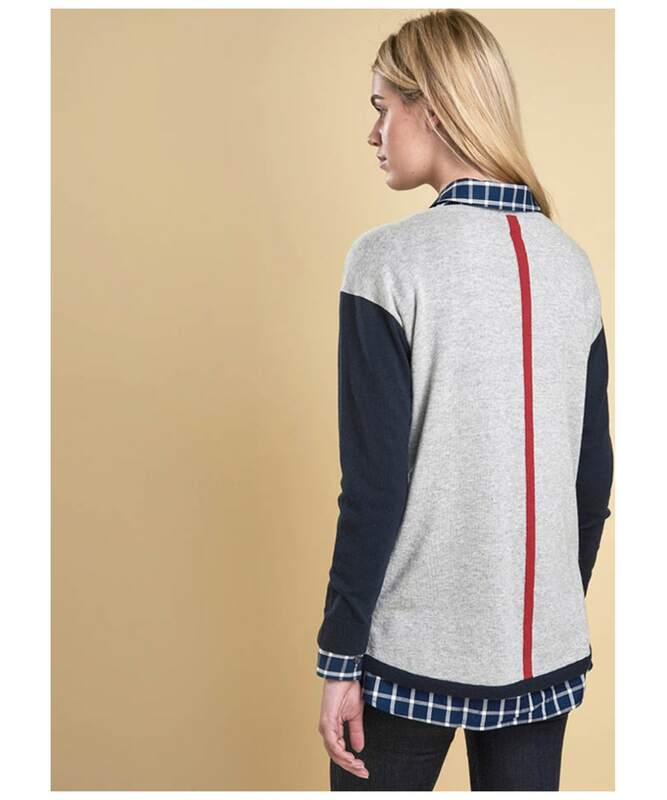 Featuring a contrast colour block back and front with a fine highlight colour centre back stripe, the Freestone is a wardrobe essential for any stylish lady! 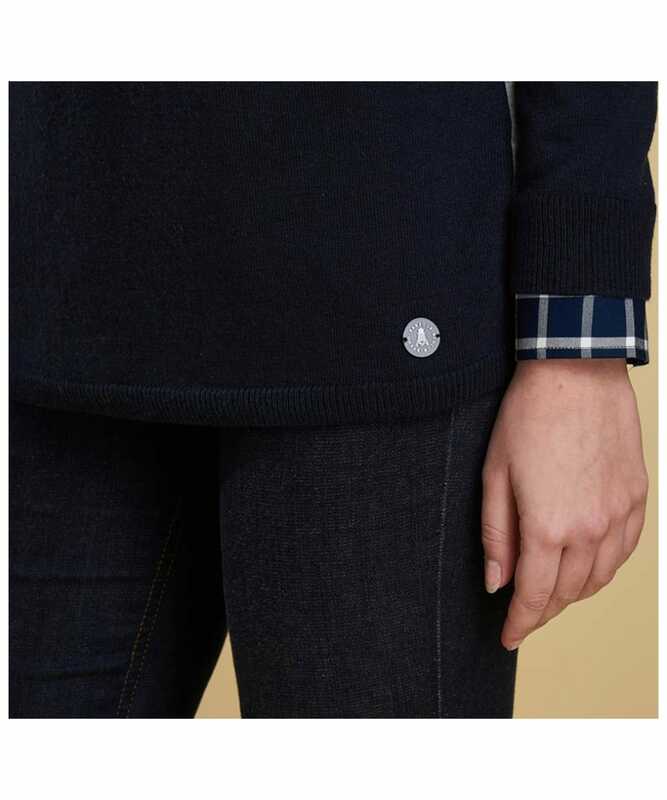 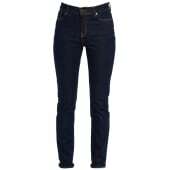 Pair with your favourite Barbour jeans for a fashion forward casual look.